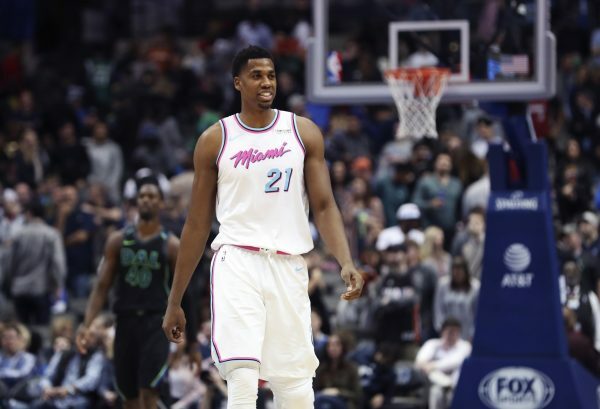 Last week, after a four-hour meeting between Pat Riley and Hassan Whiteside, it seemed the Miami Heat and the talented big man had managed to bury the rather large hatchet that had formed last season. It also seemed likely that Whiteside would stay on the team despite previous rumors that the Heat were looking to trade him. It now appears, however, that Whiteside could very well be on the move. While this deal is nothing more than a rumor at the moment, it is hard to deny that it could serve both sides well. The Cavs would be able to take a risk on a player with star potential to help fill the void that LeBron James left when he signed with the Los Angeles Lakers back in July. As for the Heat, they would rid themselves of Whiteside’s hefty contract and off-court distractions, while adding a cheaper big man in Thompson and a sharpshooting veteran in Korver. Only time will tell if this rumor develops into anything more than that. Until then, it is certainly something to keep an eye on.